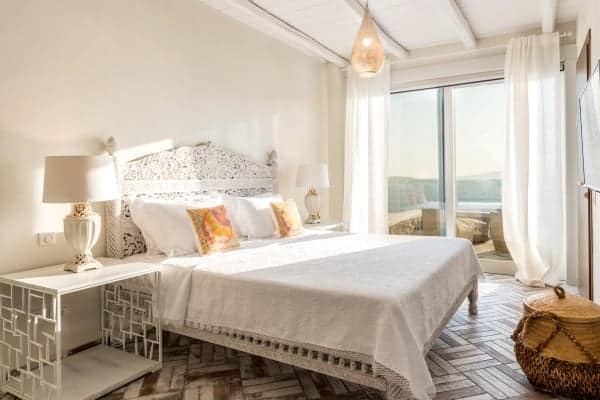 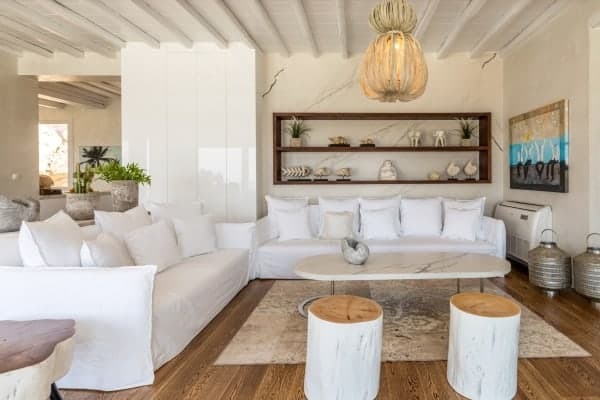 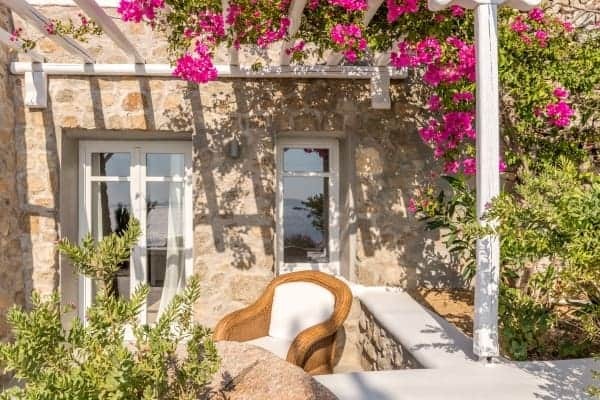 At this property, which boasts a stunning view over the Island of Delos (one of Greece’s most important mythological sites), detail is everything. 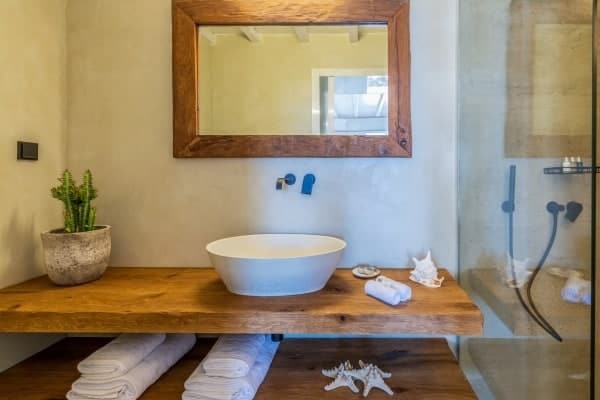 From the welcome basket that guests receive upon arrival to the carefully-selected furnishings, everything has been subject to a keen and discerning eye. 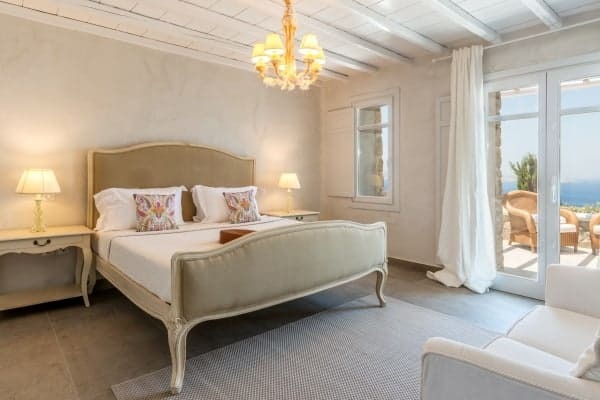 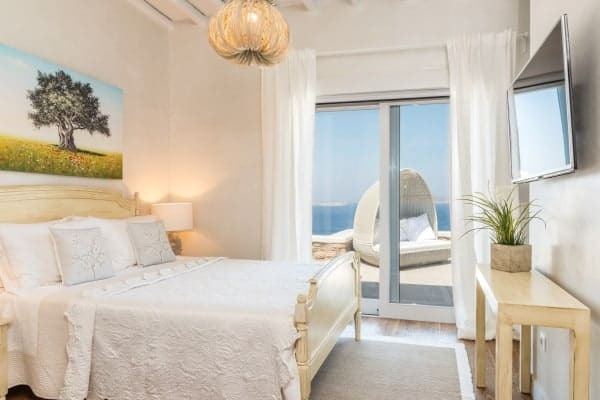 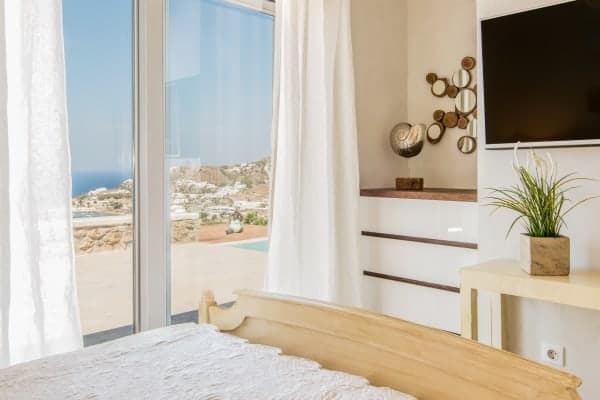 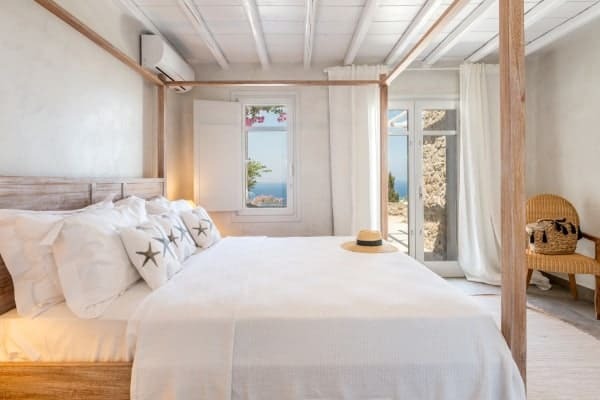 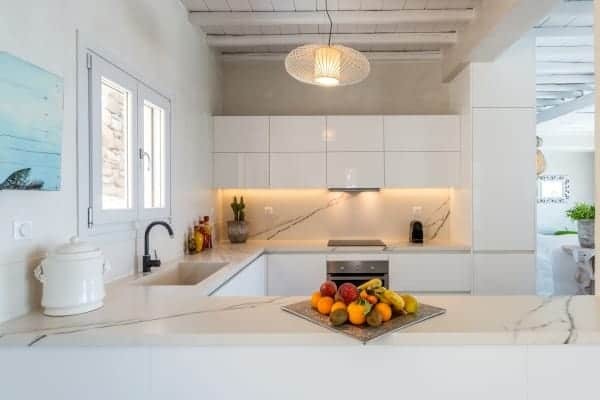 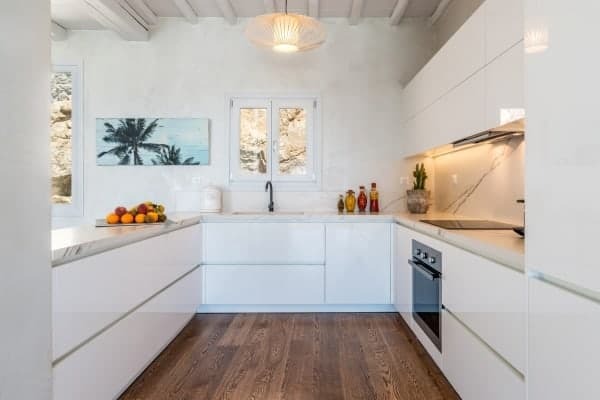 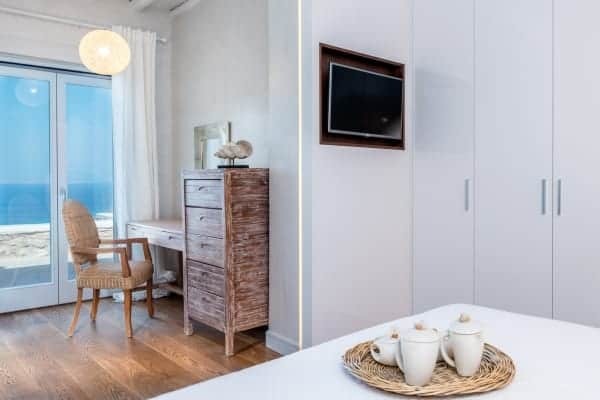 The Villa itself is perfectly located just 300m away from the Agios Ioannis beach, and 3.5 km from Mykonos town, ensuring both convenience of location and the right amount of isolation and privacy. 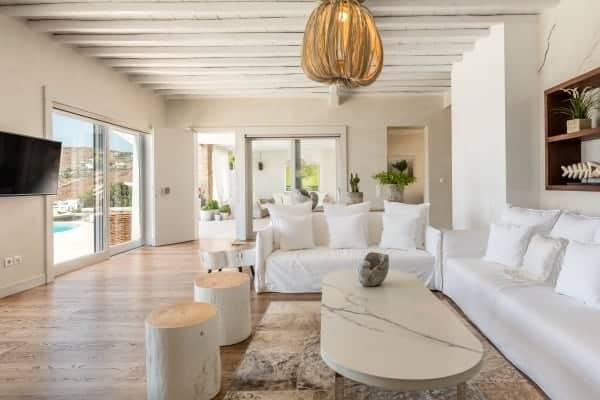 The interior has a large living room and open plan kitchen, six double bedrooms (five of them en suite) and can comfortably host twelve guests. 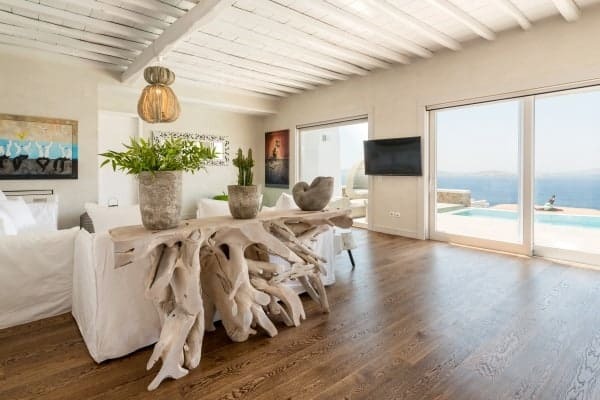 Rooms have a light, celestial feel and feature beautifully-finished wooden flooring and beams. 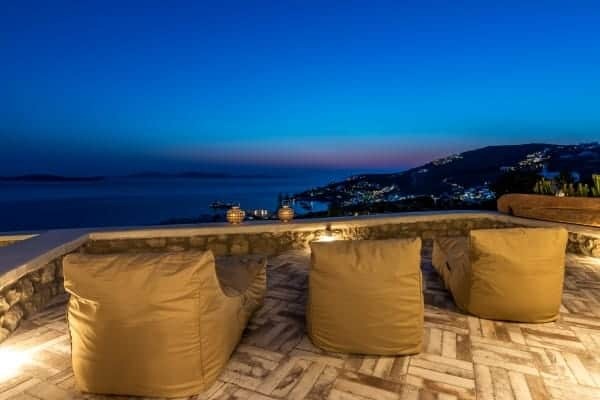 The outside area has a sunset viewing lounge, a private garden, a barbecue area and a stunning infinity pool. 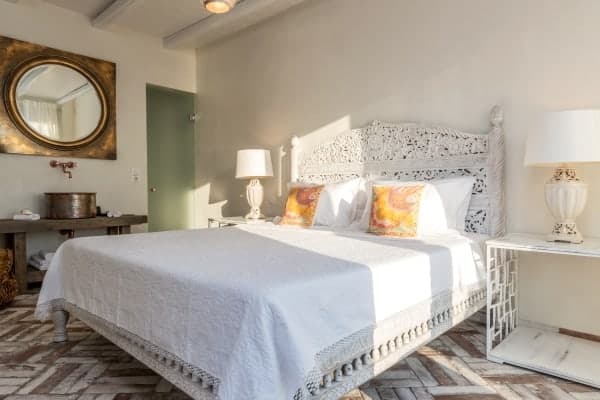 A rare and treasured addition to the property is the private, on site chapel which can be used by guests. 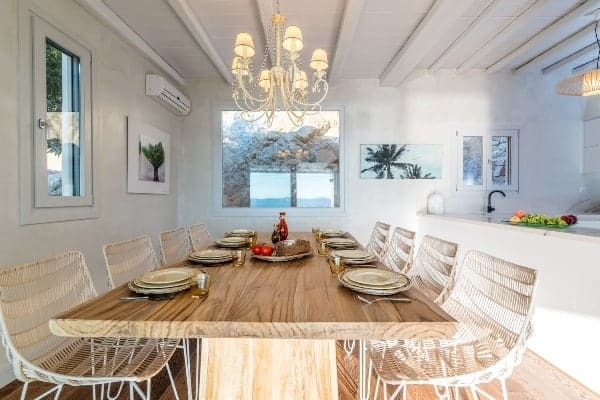 The addition of private parking on site, and the abundance of spacious gathering areas, make this property ideal for large families or for a gathering of friends wishing to relax, spend some time at the beach and enjoy unforgettable moments together in an unforgettable location.